Urbanization is a major problem that Chinese society stability will inevitably face and needs scientific guidance and management. 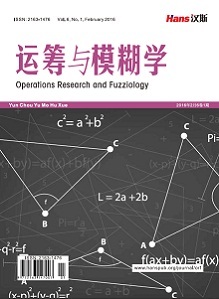 Based on the spatial varying-coefficients autoregressive model, we adopt the population urbanization data of 31 provinces of China in 2015 to study the macro factors affecting the urbanization of China’s population, and visualize the related results. The results showed that: 1) Output of the tertiary industry and foreign investment has significantly promoted the development of population urbanization. The urban-rural income gap has inhibited the development of population urbanization. Per capita GDP and secondary industry output have shown strong spatial heterogeneity. 2) In the western region (Gansu, Ningxia, etc. ), the central region (Shanxi, Henan, etc.) and the eastern region (Zhejiang, Liaoning, etc. ), the promotion of the development of the tertiary industry for population urbanization is decreased successively; 3) In more economically developed areas, economic growth has obviously promoted the development of population urbanization. However, it has little or even negative correlation effect on population urbanization in economically especially developed regions and economically underdeveloped regions. Based on the above conclusions, we make a corresponding analysis and put forward reasonable opinions. 简新华, 黄锟. 国城镇化水平和速度的实证分析与前景预测[J]. 经济研究, 2010(3): 28-39. 周一星. 关于中国城镇化速度的思考[J]. 城市规划, 2006(s1): 32-35. 吴鹏, 常远. 基于城镇化和产业结构的城乡收入差距分析[J]. 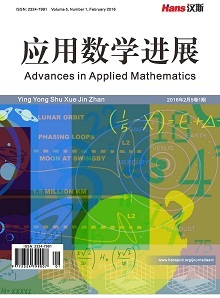 商业研究, 2016, 62(2): 41-45. 叶阿忠, 陈婷. 空间视角下城镇化、工业化和农业现代化关系实证研究——基于半参数空间面板VAR模型[J]. 软科学, 2017, 31(7): 54-59. 申玉铭, 邱灵, 任旺兵. 中国服务业空间差异的影响因素与空间分异特征[J]. 地理研究, 2007, 26(6): 1255-1264. 赵新平, 周一星. 改革以来中国城市化道路及城市化理论研究述评[J]. 中国社会科学, 2002(2): 132-138. 张利霞. 我国城镇化水平与第三产业发展关系的实证研究:1978-2012 [J]. 山东财经大学学报, 2014(3): 57-66. 朱孔来, 李静静, 乐菲菲. 中国城镇化进程与经济增长关系的实证研究[J]. 统计研究, 2011, 28(9): 80-87. 叶阿忠, 陈生明, 冯烽. 服务业集聚和经济增长对我国城镇化影响的实证研究——基于半参数空间滞后模型[J]. 运筹与管理, 2015, 24(3):205-211. Brunsdon, C., Fotheringham, A.S. and Charlton, M.E. (1996) Geographically Weighted Regression: A Method for Exploring Spatial Nonstationarity. Geographical Analysis, 28, 281-298. Wu, B., Li, R. and Huang, B. (2014) A Geographically and Temporally Weighted Autoregressive Model with Application to Housing Prices. International Journal of Geo-graphical Information Systems, 8, 1186-1204. Malikov, E. and Sun, Y. (2017) Semiparametric Estimation and Testing of Smooth Coefficient Spatial Autoregressive Models. Journal of Econometrics, 199, 12-34. Kelejian, H.H. and Prucha, I.R. (1998) A Generalized Spatial Two-Stage Least Squares Procedure for Estimating a Spatial Autoregressive Model with Autoregressive Disturbances. Journal of Real Estate Finance and Economics, 17, 99-121. 冒小栋, 刘琼芳. 中国人口城镇化水平的影响因素及溢出效应[J]. 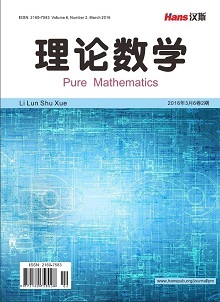 商业经济研究, 2014(5): 29-31. 郭军华. 中国城市化对城乡收入差距的影响——基于东、中、西部面板数据的实证研究[J]. 经济问题探索, 2009(12): 1-7. 曹飞. 中国省域人口城镇化率影响因素的空间杜宾分析[J]. 统计与决策, 2017(20): 102-105. 蒋伟. 中国省域城市化水平影响因素的空间计量分析[J]. 经济地理, 2009, 29(4): 613-617. 秦佳, 李建民. 中国人口城镇化的空间差异与影响因素[J]. 人口研究, 2013, 37(2): 25-40. Zhang, K.H. and Song, S. (2003) Rural-Urban Migration and Urbanization in China: Evidence from Time-Series and Cross-Section Analyses. China Economic Review, 4, 386-400. 孙晓华, 柴玲玲. 产业结构与城市化互动关系的实证检验[J]. 大连理工大学学报, 2012, 33(2): 22-27.